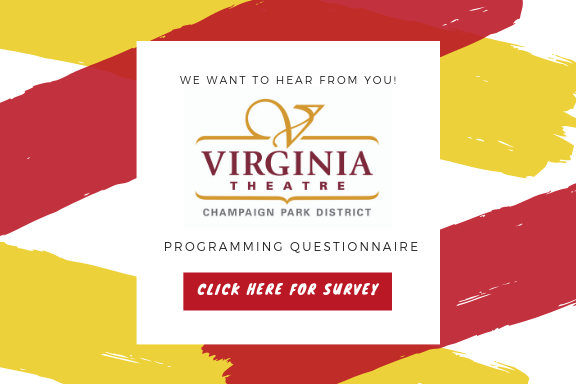 As we start looking forward to another exciting season, we’d like to know your thoughts on being a patron of the Virginia Theatre. From sharing your favorite performances to what you’d like to see next on our stage, we want to hear from you. We truly appreciate your feedback and hope that you will complete a short survey (www.surveymonkey.com/r/FWLT596). The survey takes less than five minutes to complete and will provide us with invaluable insights about our patrons’ preferences. Thank you, and we’ll see you again soon at the Virginia! !